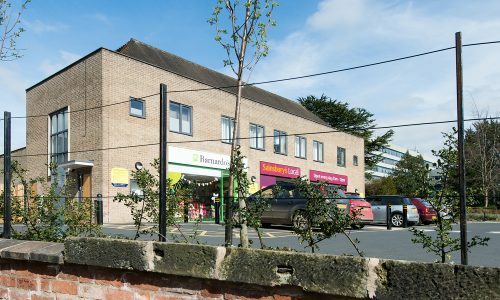 This commercial building project was secured by Shingler Construction following a competitive tender. 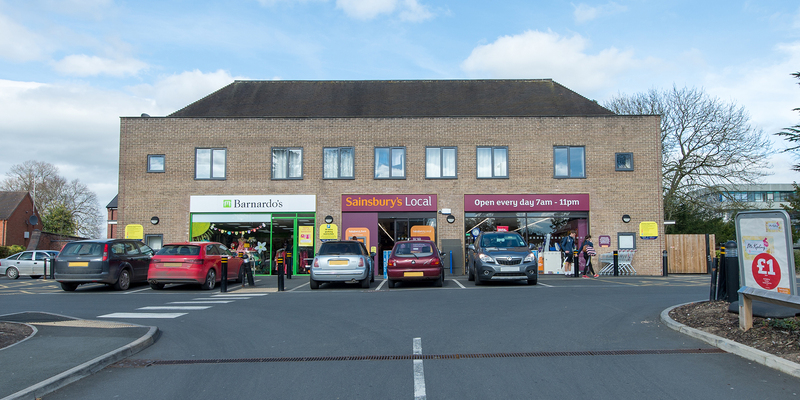 Johal Dairies commissioned Shingler Construction to design and build this development for Sainsbury’s Local and Barnados in Shrewsbury. Shingler’s were proud to win this tender due to their friendly and flexible approach. 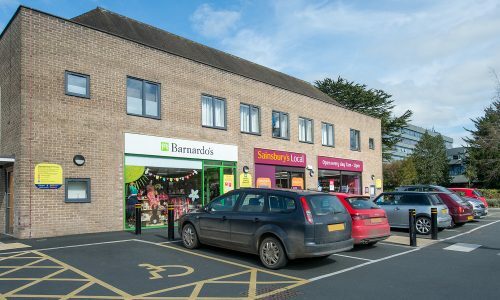 This commercial building project included converting the original old ambulance station into retail units for Sainsbury’s Local and Barnados on the ground floor. Two residential flats were then developed on the 1st floor, including a one bedroom flat and a two bedroom flat. 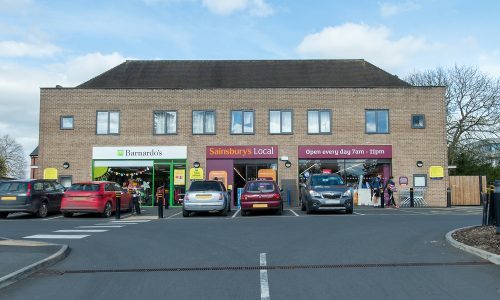 Every client has different requirements, Shingler Construction worked to exact specification given from Sainsbury’s including a specific fit out, design and security measures. 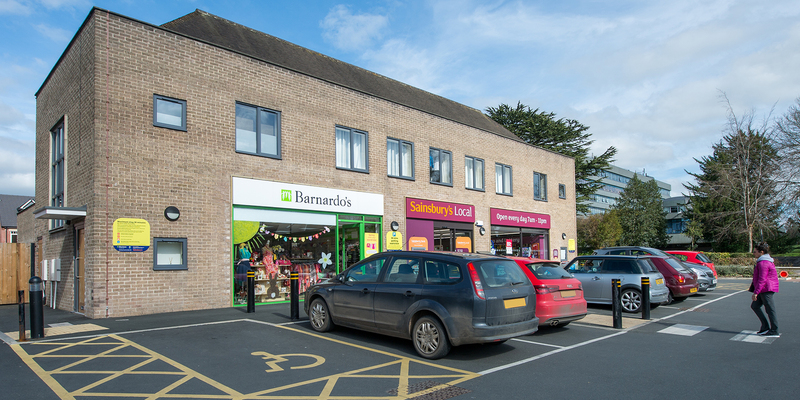 However, Barnardos gave Shingler Construction full project management, delivering a complete Design and Build service. The building, which had been empty for years, was an old ambulance station that was originally built in the 1950’s. Shingler Construction was required to gut the old offices and demolish the workshops and the old working garage. Like every construction refurbishment or new build, a project will always uncover construction challenges, this was no different as the team professionally handled the contaminated flooring of the garage caused by petrol, vehicle storage and movement. The area of the project covered a total area of 1.5 acres. 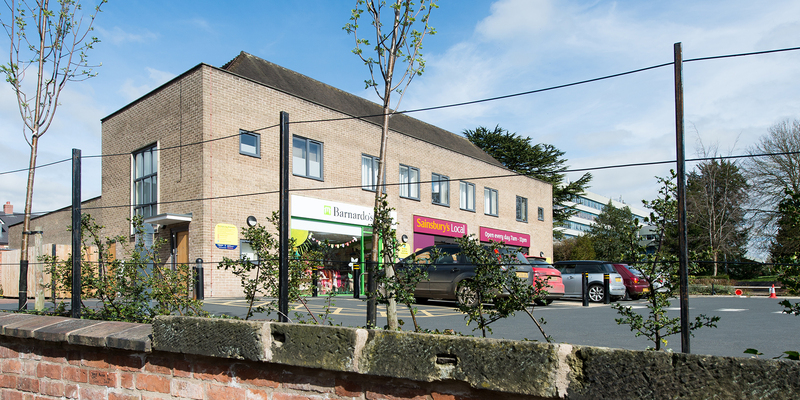 Externally, Shingler Construction provided a new parking area, lighting, signage, shop front and security bollards.